Will we see more of the police? In our issue of October 4, we wrote praising the initiative of two junior officers from Sussex Police in visiting Rye. PC Daniel Smith and police staff, Ben Carslake were touring the towns and villages in a police van, getting to know anyone who would like to talk to them either to discuss local problems that might concern the police or just to have a chat and make the police presence more visible in towns and villages where the “bobby on the beat” was rarely seen. The implementation of centrally imposed austerity measures has however dramatically cut Sussex police resources and presence as part of the 19% national cut in police funding. A strongly worded report from the Home Affairs select committee last week said the Home Office had put the public’s safety at risk by lack of investment in the nation’s police force. Police forces have lost, on average, at least a fifth of their neighbourhood policing capacity since 2010 while crime rose by a third from that date. In our area, by increasing the police precept in council tax and releasing £17m from reserves, Sussex Police assert they it has begun to reverse the policy on frontline policing. Some 70 new police officers are being trained and due to be in service by December. This is part of the proposal to have 200 officers returned to neighbourhood policing by 2022. It has have already made almost £90m of efficiencies and savings to counter the reduction in government grant funding. It will continue to try to find efficiency savings in service delivery via technology and collaboration, and the pressure police officers and staff experience due to increasing demand and a more complex workload is acknowledged. Cybercrime, organised crime, drugs across county lines and child protection are Home Office priorities. The Chancellor’s budget on Monday seems to confirm this assessment as Philip Hammond did give an extra £160m for counter-terrorism policing. “Austerity for our police is the last thing we need in Hastings and Rye. We have been told by government that austerity is over, so why are we still seeing cuts to police budgets? “Since 2010, police resources have been cut dramatically. Enormous demands are being made on the police to tackle the ‘county-line’ drugs trade, address safeguarding of children issues and cybercrime, all of which have increased significantly. “I’m pleased that additional short-term funding for policing in Hastings town centre has been found. But this does not solve the longer-term police funding crisis, nor does it address the concerns local people have about policing in other parts of Hastings and Rye. “I am pleased that crime has reduced locally. In October of last year we had [for example] 253 total crimes in the central Hastings area, which has fallen to 183 for September of this year. This is a 28% decrease in crime in one year, and is clearly testament to the hard work of our police officers and our Sussex Police and Crime Commissioner, Katy Bourne. Let me be clear that any crime is unacceptable and I will continue to work with our police forces locally to combat it. “Looking nationally, the Government has made provision for £450 million more funds to allow for additional police recruitment. In Sussex the Police and Crime Commissioner is recruiting 200 more police officers this year. By comparison, there were just 47 crimes reported in Rye in August 2018. 8 anti-social behaviour, 5 burglaries, 4 criminal damage and arson, 4 thefts, 4 shoplifting, 2 public order offences and 14 violence and sexual offences, 1 bicycle theft and 5 vehicle crimes. Rye police station is open from 1pm to 4pm. Battle from 9am to 12 noon, Bexhill from 10am to 2pm and from 3pm to 6pm. 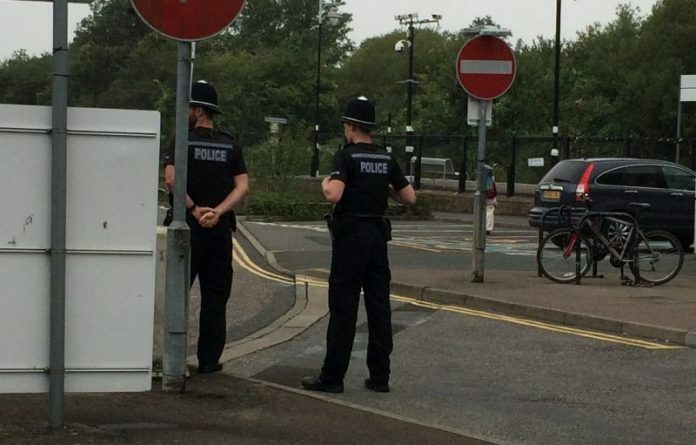 Police HQ in Lewes is not open to the public.